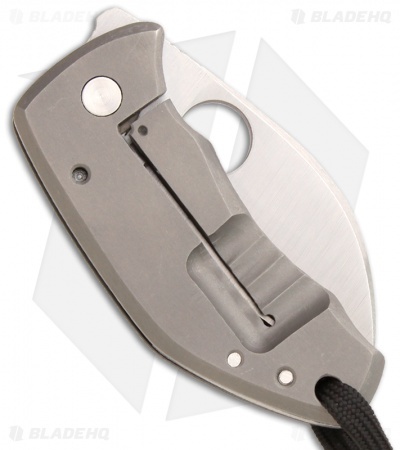 The Sheeple folder is a smaller knife with superb fit and finish. 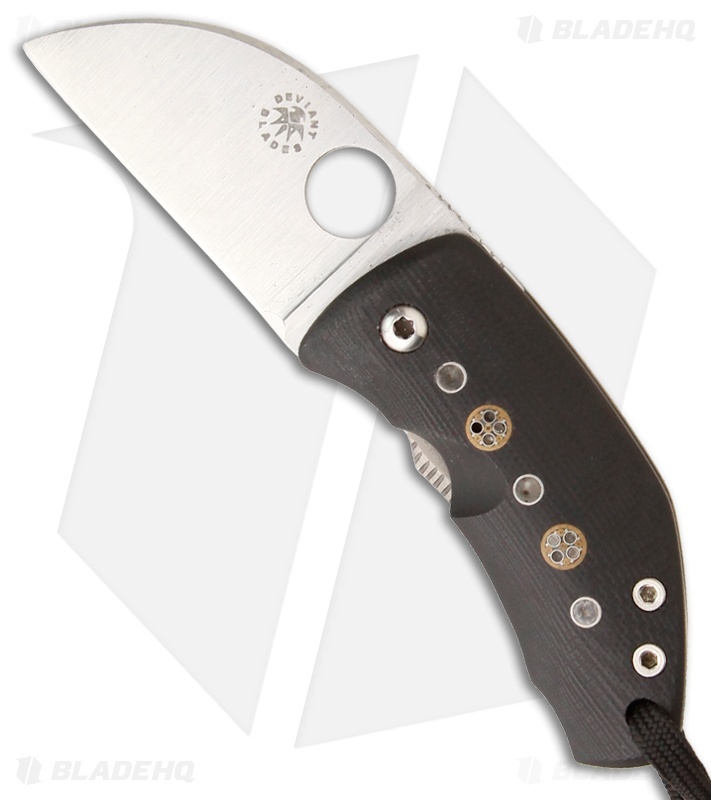 This knife has a satin finished A2 steel blade with thumb hole (licensed from Spyderco). The handle has a black G10 front with decorative inserts and titanium framelock back. 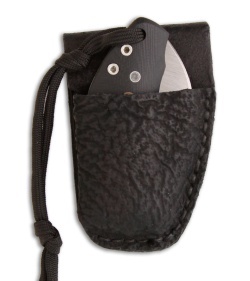 Includes a shark leather sheath with belt loop. Filip De Leeuw is the man behind Deviant Blades. He started making knives in 2003 and hasn't stopped. His custom knives have great style, build quality and are crafted in Belgium.